The Garden to Table programme is one of the highlights of our Environmental Education curriculum, it is also a great way for parents and caregivers to be involved in their child’s schooling. 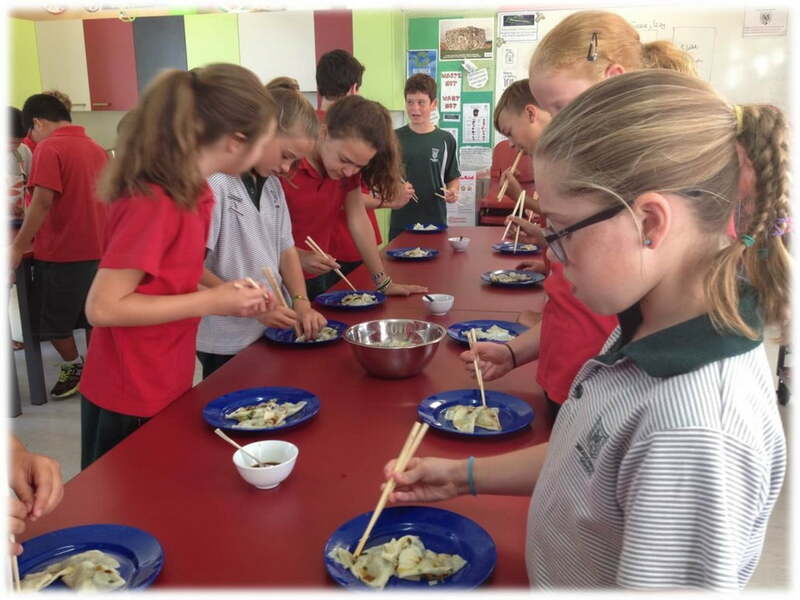 Year 4 and 5 students are fortunate to participate in the Garden to Table programme lead by specially trained staff who take classes individually for sessions of planting and harvesting , and cooking. Each session culminates in a shared meal. 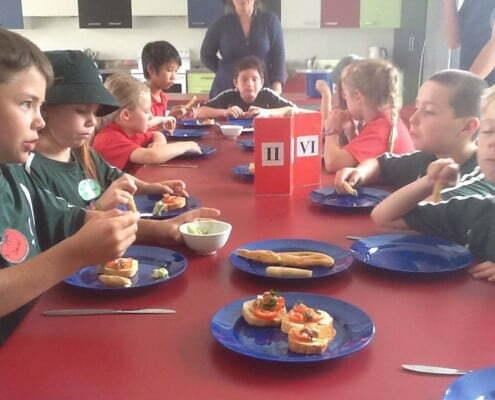 Meadowbank School was chosen as a pilot school for the Garden to Table programme in 2009. Since then it has flourished. 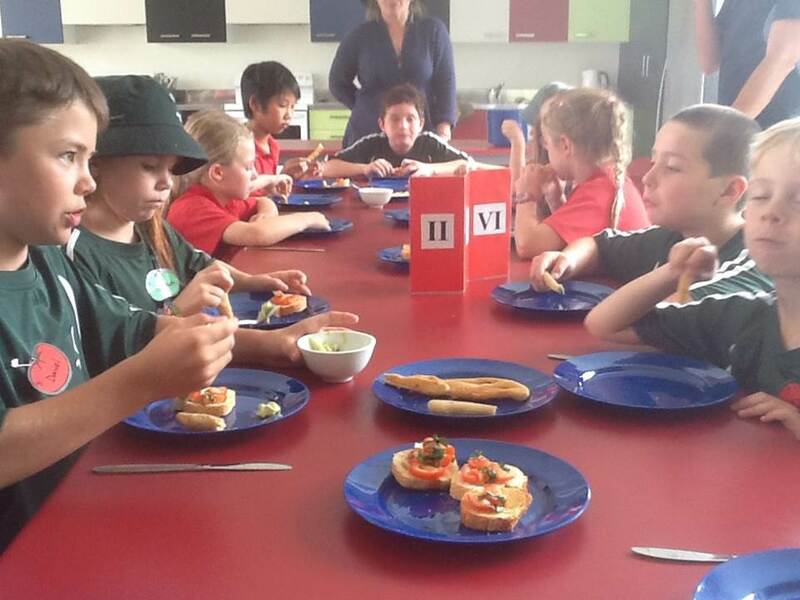 Its aim is to provide children with an enjoyable education experience about food, horticulture and their natural environment – primarily to positively influence their food choices. 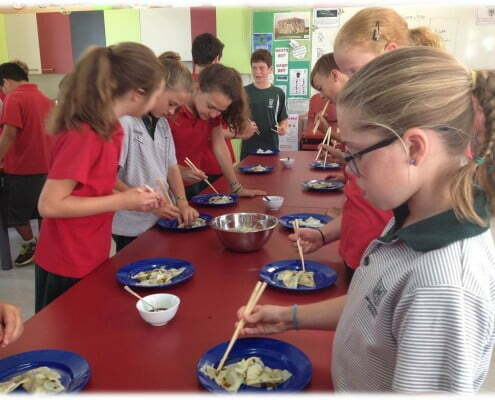 Already a strong Enviro school, the Garden to Table programme complements the culture of our school. During the two years spent in the programme, students will learn to grow, harvest, prepare and share. 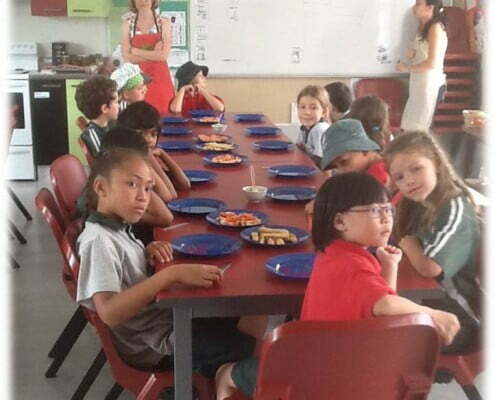 It is an incredibly enjoyable experience for the children in a very different learning environment. 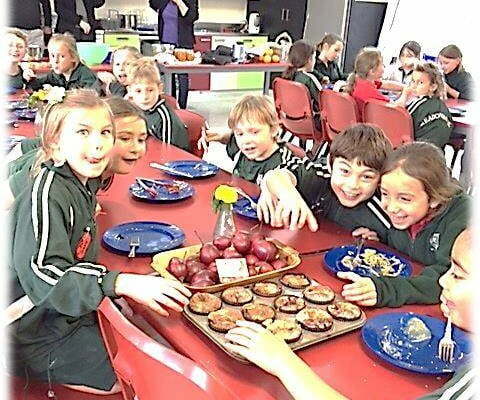 The emphasis is on practical learning through individual and group work that incorporates all areas of the New Zealand curriculum. 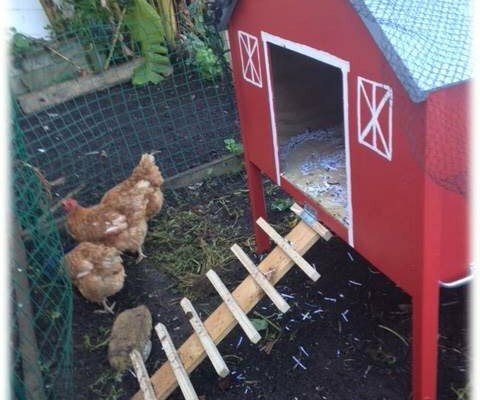 Step into Meadowbank School and be surrounded by beautiful vegetable gardens, lovingly tended to by a passionate Gardening Specialist Teacher and students. We have a vibrant and modern well appointed kitchen classroom that our pupils enjoy as they learn to prepare and cook meals under the guidance of a Kitchen Specialist Teacher. 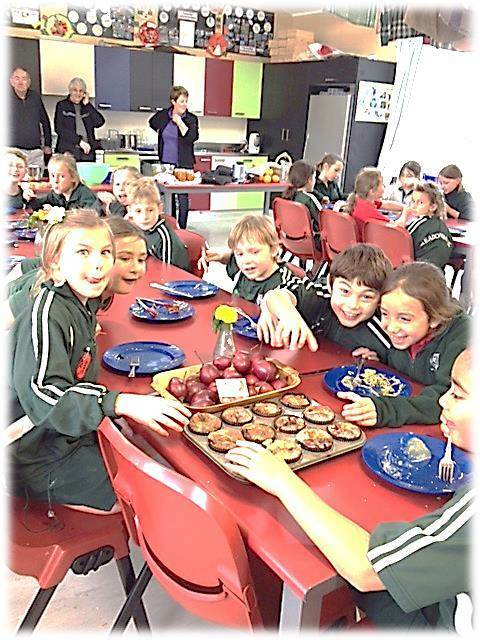 Students cook with the plentiful supply of sustainable school seasonal vegetables, herbs and fruit that have just been harvested from our school’s organic garden. 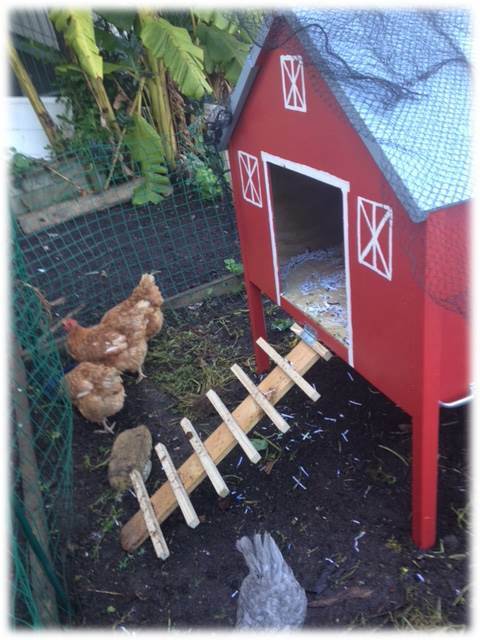 During lunchtime, students choose to spend their recreational time watering plants, collecting seeds, visiting the hens and helping to set up for the afternoon kitchen class. 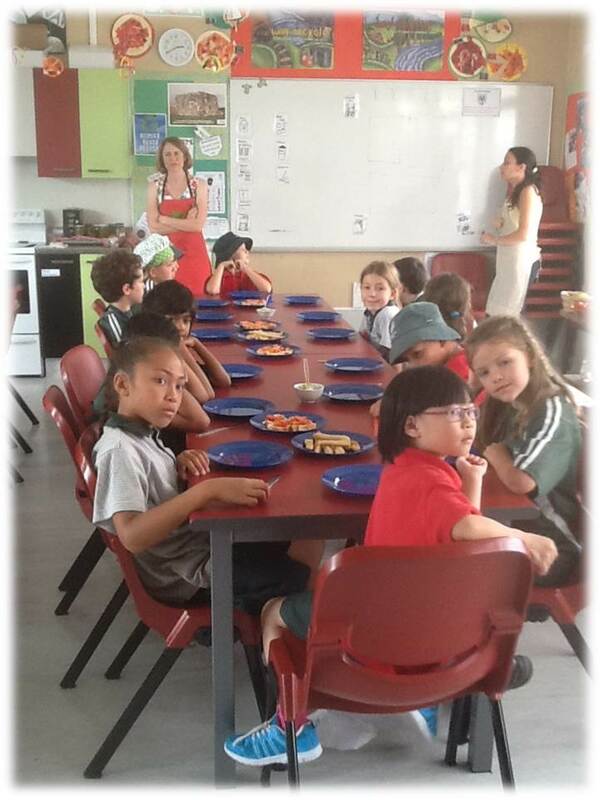 Just outside the kitchen classroom is a woodfired pizza oven built after months of research and fundraising by past Year 5 classes. This is used by all Garden to Table classes throughout the year and is one of the highlights of the programme for many pupils. Assisting children in each session are volunteers, mainly parents and grandparents and school neighbours and students who are committed to ensuring that cooking and gardening skills are passed down to the next generation. At the end of each session all participants come together to share the prepared meal. Many families tell us that their children have encouraged them to make a vegetable garden and they now have the confidence to share their gardening and cooking skills at home.